The important contributions made by the iron industry in Canaan, Connecticut, have been the subject of much celebrated research. The iron that poured out of Connecticut’s northwest corner for more than a century helped usher in new eras of transportation and economic expansion in America. What is too often lost in this narrative, however, is the story of the farm that sustained many of the iron industry’s untiring laborers. Known originally as “the Adam Farm,” the Land of Nod farm (named in 1985 after the eponymous Robert Louis Stevenson poem) has flourished for over 200 years under ownership of the same family, making it a national bicentennial farm. Beginning in 1788, the farm fed the people of Canaan and, later, the iron workers of the nearby Beckley furnace (until the furnace closed in 1919, following the end of World War I). The Land of Nod farm was vital to the success of the iron industry in East Canaan, yet the great part it and its owners played in the history of northwestern Connecticut remains largely underappreciated. The history of the Land of Nod farm began with the story of the “Iron Prince” himself, Samuel Forbes. Born in Simsbury, Connecticut, in 1729, Forbes directed iron production at his Salisbury Furnace and at the iron works in East Canaan. Forbes and his wife, Lucy Pierce, had one daughter, Abigail. Abigail married John Adam Jr who moved from Taunton, Massachusetts, to Canaan in 1780 to work as a bookkeeper for Forbes. Shortly after this marriage, Samuel Forbes and John Adam formed a business partnership, establishing a successful iron rolling and slitting mill in East Canaan. Together they employed at least 50 Canaan residents. In 1787, they oversaw construction of the first barn at the farm on which John and Abigail Adam soon resided. The farm (located across the street from the Blackberry River) produced rye, corn, wheat, jams, and wool. It also contained multiple houses, including the one in which Abigail and John Adam lived, and another, dating from around 1750, which became an office for the Forbes and Adam company and, later, housing for families of the workers at the Beckley furnace. One of the more intriguing aspects of the Land of Nod farm is that it was not utilized for single-family subsistence agriculture, like many other nearby farms of the time. Instead, the farm’s resources fed workers at the Beckley Furnace and their families, in addition to the craftsmen and professionals who lived in nearby Canaan and Norfolk. 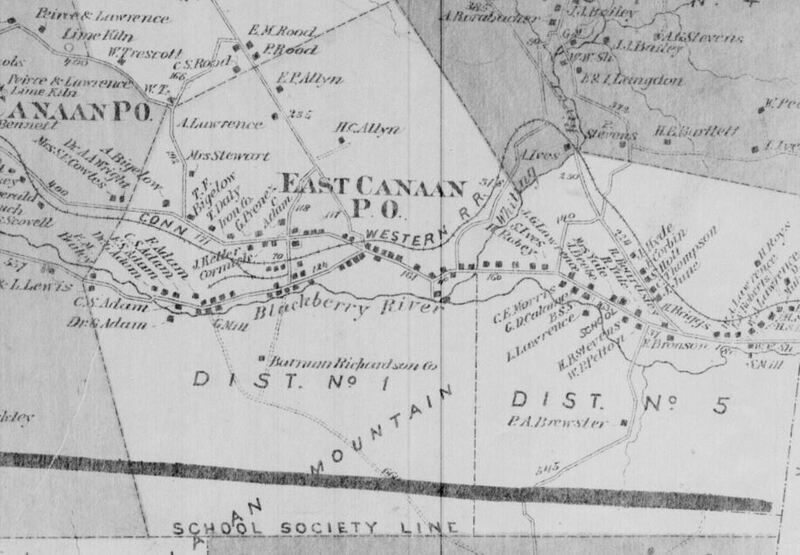 William Adam, a grandson of John and Abigail Adam, continued the family legacy in Canaan when, in the late 1830s, the idea of building a railroad track alongside the Adam property arose. Afraid that the sparks from passing steam engines might set his farm on fire, William Adam proposed that the track run through the center of Canaan instead, and in exchange, he build a hotel for the town. After acceptance of this plan, the tracks were built, as was as a combination hotel and railroad station (known as the “Canfield Hotel”) that proved quite lucrative for the town. Thirty years later, as Adam feared, sparks from a passing steam engine set fire to the Canfield Hotel. For more than 225 years, the Land of Nod farm thrived under ownership of the Adam family. It provided both work and food for the people of East Canaan, and helped the nation’s leading iron-producing region flourish. Today, the Land of Nod has downsized and the descendants of John and Abigail Adam no longer worry about feeding and housing workers from the Beckley furnace, nor even providing grain and rye for townspeople in times of need. But they still continue their work, selling homemade syrup and jams, as well as wool from their sheep. Just how much this living piece of history contributed to the establishment and prosperity of Canaan may never be precisely quantified, but the history of the Land of Nod farm (and those who have worked it) is one deserving of wider recognition. Sara VanDeusen is a member of the Class of 2017 at Housatonic Valley Regional High School in Falls Village, Connecticut. “Canaan History.” Town of North Canaan, 2017. Link. William, Adam. “A Guide to the Dr. William Adam Account Book Collection - 1748-1875.” Connecticut Historical Society, 2017. Link. “Map - North Canaan & Canaan. (Petersen Collection).” ca. ’s 1850. University of Connecticut Libraries - Map and Geographic Information Center - MAGIC. Link. 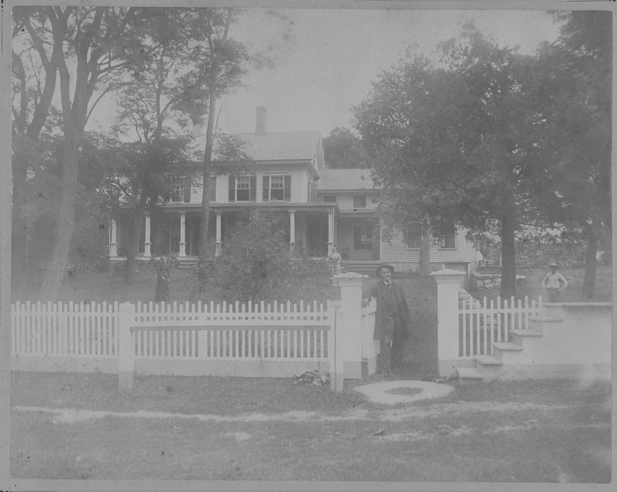 “WPA Architectural Survey: Photograph - North Canaan Historic Building 005 - Original Owner Squire Samuel Forbes,” ca. -1942 1935. 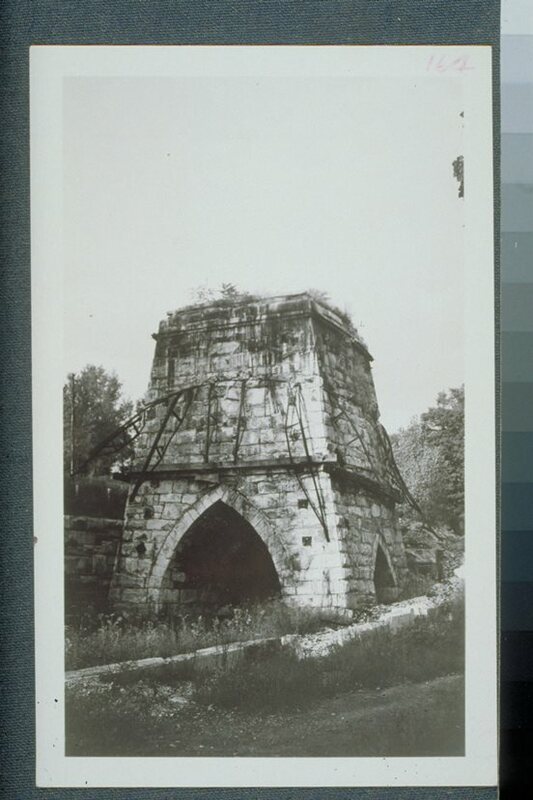 Connecticut State Library, State Archives, RG 033:28, WPA Records, Architectural Survey. Link. Adam, Emma. Land of Nod. Canaan, CT, 2015. Forbes, Mary G. Samuel Forbes, Esq. Hartford, CT, 1866.